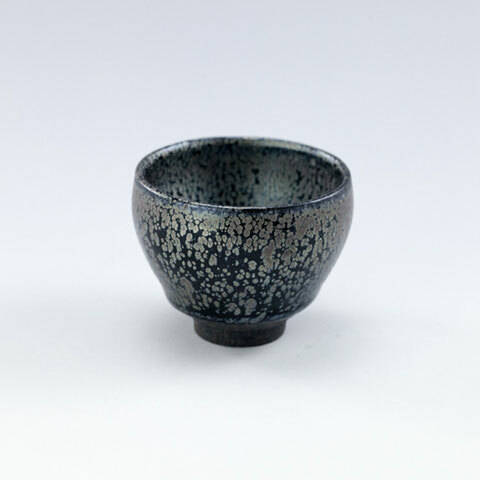 Black porcelain teawares began in the late Tang Dynasty, reach its peak in the Song Dynasty, continued in the Yuan Dynasty and finally declined in the Ming and the Qing Dynasties. 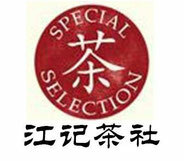 The reason was the way of having tea gradually changed from cooking tea to tea dropping since Song Dynasty. 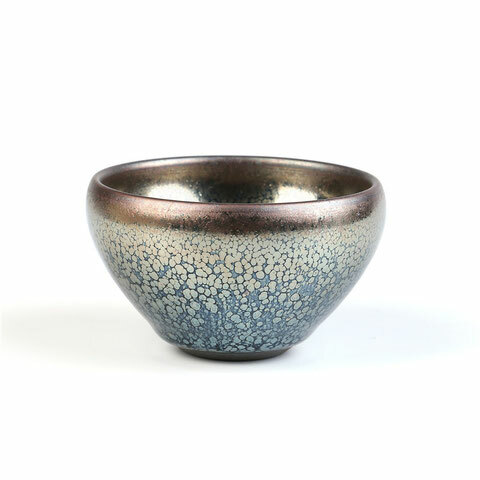 In addition, the prevalence of tea contest in the Song Dynasty created positive condition for the rising of black porcelain teawares. 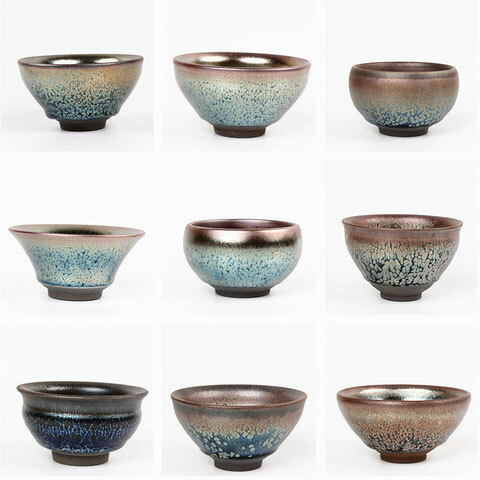 In the Song Dynasty, many kilns like Jian Kiln in Fujian Province, Jizhou Kiln in Jiangxi Province and Yuci Kiln in Shanxi Province, all produced a large number of black teawares and became the main resource of it. 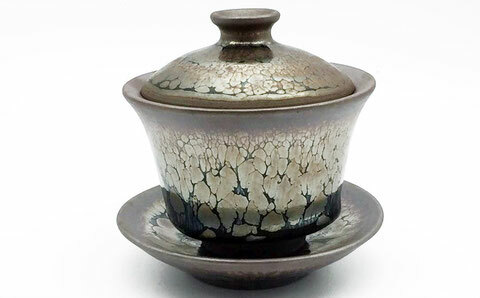 Among all the kilns that produced black porcelain teawares, Jian Kiln won most praise. 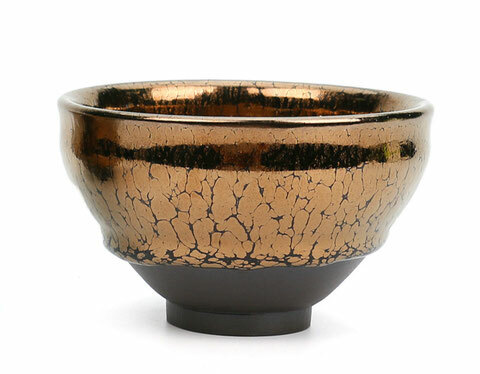 The bowls from Jian Kiln was also called “black bowls” or “mud bowls”. Black was the main color of the porcelain base. It had thick glaze and also a “flowing glaze” phenomenon. 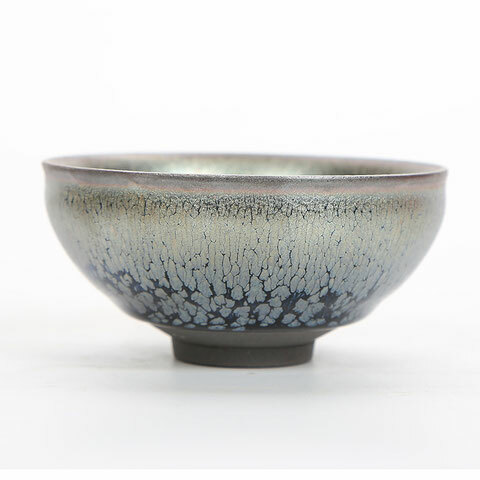 Because of the ingredients in the glaze, the crystal shape glaze could show thousands of different forms, especially hare fur, oil drop, starry sky and partridge.